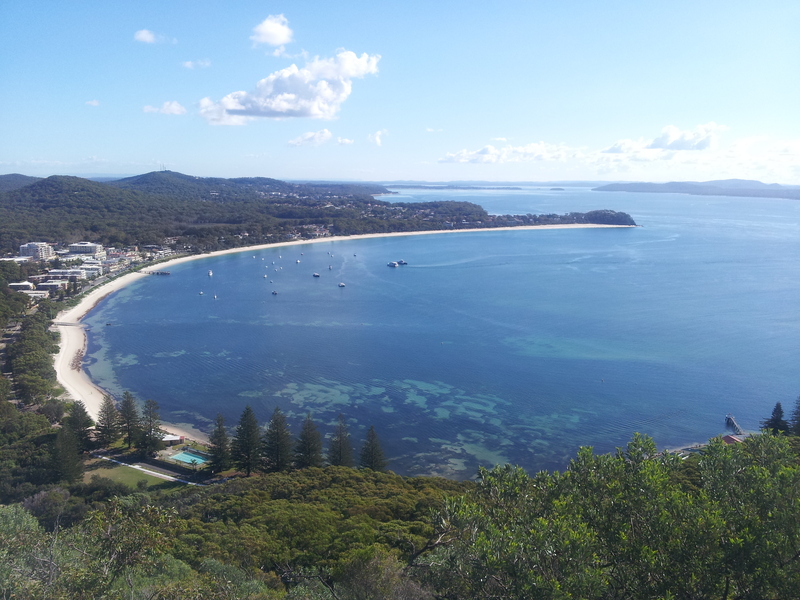 So we’ve been hanging out in beautiful Nelson Bay for a couple of weeks now, staying with Billy’s grandparents. We have had to go into Sydney a couple of times to get to the hospital, but as the burn is healing well, I got the all clear the other day, and don’t have to go back again! Hallelujah! So now we can get our trip really kicking again, and we’re going to take off on Wednesday up the coast for some sightseeing and job searching. It’s really exciting to be on our way again, but there’s always a hint of sadness when we leave a place, particularly one where there’s been so much family (for Billy anyway). We’ve loved staying here, and have had beautiful weather for the most part, which has meant we got to have some fun in the sun. We borrowed some bikes off of B’s grandparents and went on a few rides around the bays and beaches here which was awesome. They are getting rid of one of their bikes, as they’re moving house, so we are going to lock it to the bullbars and take it with us, hopefully picking up another somewhere along the way. It’s awesome having bikes as we can just park the van somewhere and ride off, and cover a far greater distance than if we were walking. That being said, we have also been on a few walks, a favourite being up Mt. 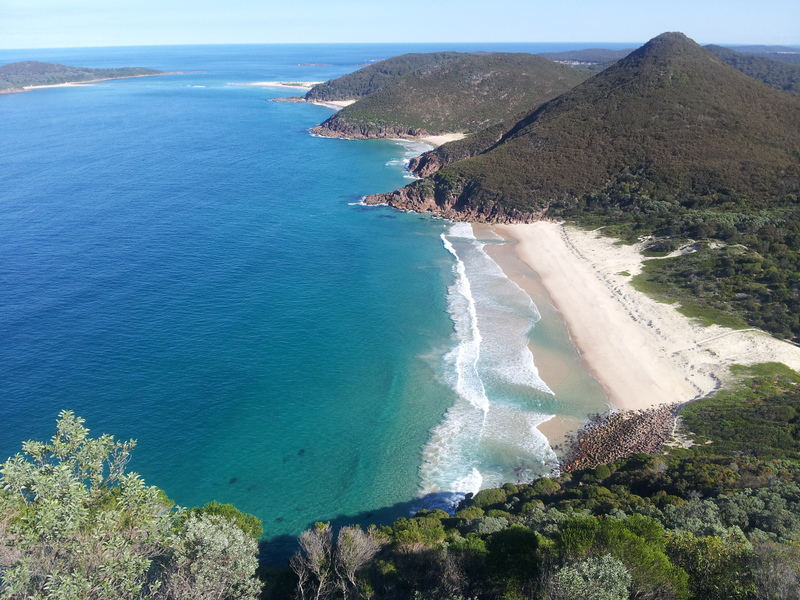 Tomaree. It was quite a short steep walk, with a well established pathway and stairs up to the top. Apparently people run up and down it for exercise, but that was a bit too keen for us. The views from the peak were just stunning! Mothers Day also passed while we were here, and I took the opportunity to make one of my favourite cakes for Billy’s Nan. 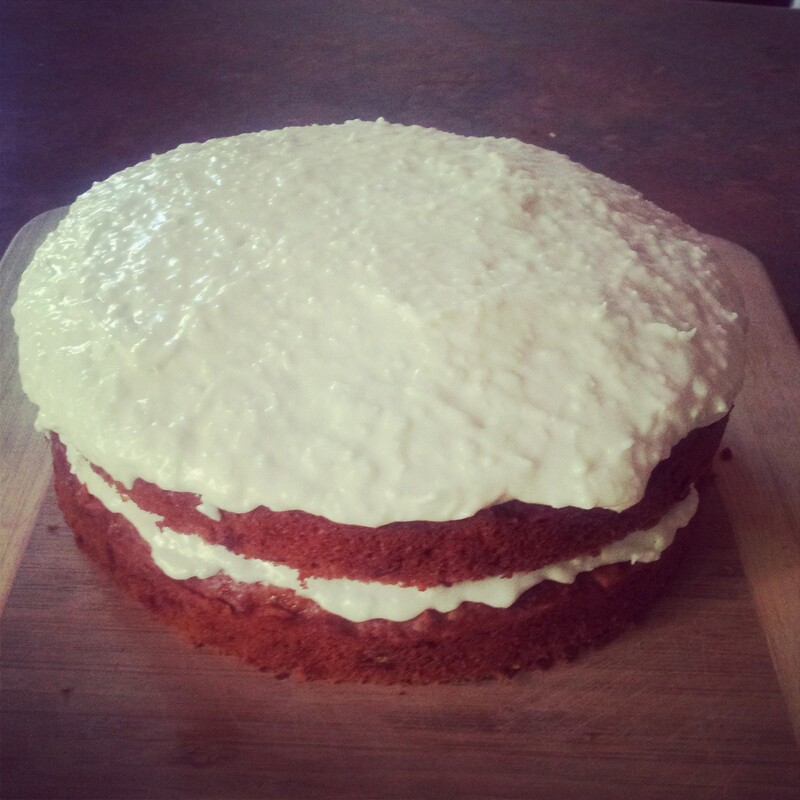 This one comes to you from Vegan with a Vengeance, it’s the amazing Ginger-Macadamia-Coconut-Carrot Cake. Ideal for a special occasion (but also ideal for eating whenever you want to). In my experience, this cake never fails to please, no matter who the audience. It is just deeeeeelicious!! If you’ve never tried it before, do – trust me, it will seriously blow your mind! Preheat oven to 180C and lightly grease two 8-inch round springform cake pans, or if you prefer, one 9×13-inch baking pan. In a medium bowl, mix the flour, baking powder, baking soda, salt, and ground spices. In a separate large bowl, mix together the pineapple juice, oil, sugar, maple syrup, and vanilla. Add the dry ingredients to the wet in small batches and combine well with a hand mixer or strong fork. Fold in the macadamias, ginger, coconut, and carrots. Divide the batter evenly between the two round pans, or spread in the rectangular pan, and bake for 40-45 minutes. Let it cool in the pans. Allow to cool, before icing between the layers and on top with the following recipe. If you used one pan, you can either cut the cake in two or just leave it as a single layer. The double tier makes it just that bit snazzier. Cream margarine until light and fluffy. Add the coconut milk and vanilla and combine. Add the confectioners sugar and mix until smooth. Add the coconut, mix to combine, and refrigerate until ready to use. This usually makes enough icing to do the sides too, but I kind of like how it looks without. I also like to sprinkle more shredded coconut on top, just to make it look pretty and fluffy. Hope you enjoy it! Where are you heading off to now? Nice new blog layout by the way! We’re gonna take the coastal route up to Byron, planning to take about a week to get there but knowing us, that could mean anything. I’m not in a rush but I do want to get through Queensland to the NT before wet season! Do you reckon you’ll come for a mini holiday some time? Thanks! Yeah the other one was cute but frustrating as the side bar was appearing right at the bottom and I couldn’t change it.